So welcome, everyone, to another Autumn Teatime and our ongoing Mitten Strings for God book study. Today we are discussing the fourth chapter of this wonderful book, titled "Quiet." And what a nice chapter this was, full of such thoughtfulness and inspiration. Quiet is such a valuable thing to consider, on both a personal and family level ... and ... as mine is a family of FOUR BOYS ... well, you can imagine that ours is not the ... um ... quietest on the block. (Lets just say our neighbors know us well and are very kind.) I think though, the message I got from this chapter was not so much that we need more silence in our life (though that's nice too at times) but perhaps more room to hear the right kind of noise - noise that is meaningful and intimate. And maybe because of the way we all live nowadays, it's a balance we need to be mindful of - noise vs. quiet and where the outside world fits in. I think there's a real need to allow "a thoughtful quiet" to permeate our homes so we may live in such a way that allows us to absorb OUR world - not necessarily THE world - and the sweet simple details of our everyday life. "I could do with less noise, but I savor the sounds of my life." Now, before I go on too much further here is a link to the post I did on this chapter back in 2008 (with so many wonderful reader comments). I'll also update this post with any current links and comments from all of you as (hopefully) you jump into our ongoing discussion! But now, on to our Mitten Strings discussion! Now, rather fittingly, I (re)read this chapter about "Quiet" in absolute silence. Not a normal atmosphere for me! (Unless it's 6 a.m. or 10 p.m. - more on that in a minute!) So I was sitting in an exam room at my doctor's - in that atrocious "gown," awaiting my annual physical, all alone ... and it was absolutely still. (My doctor was running late, stuck in traffic!) Anyhoo, I relished the quiet, and began reading, making mental notes as I went along, and reminded myself once again just how much sense each of these chapters make. Not just for families with young children (as the author was back then, and I was back then - though also, still now) but really, for any one of us seeking a more mindful life. It was so quiet in my car - because, inspired by my reading, I decided to NOT turn on newsradio, which is my habit - and honestly, found myself paying more attention. I was so moved by the whirling leaves and the drab sky and the wet roads ... I just had to stop and snap a picture. The same holds true at home. Once Little Bear is up though, we're off! And the day itself is nearly always filled with noise of all kinds - human, electronic, feline and yes, even the squawking of our chickens reaches our ears through open windows. I crave quiet at times absolutely, but mostly I feel blessed to be surrounded by so much "joyful noise." So moving forward, I think looking at our family's days to discern where all the "noise" is coming from is helpful - but also asking, which noises are a valuable experience? Now I hear the wind rattling the window, and the driving rain on the deck ... the dishwasher running and my 15 yo's yelling along (happily) with his train video upstairs ... the UPS truck is pulling up the road, a woodpecker is tapping on the siding, and my cat is vigorously cleaning himself under the table next to me. I'm not immersed in Bubble Guppies anymore ... now I'm immersed in home, and open to the world - MY world - around me. My world is full of yelling kids and blowing wind and dishes washing and packages being delivered, etc. - simple and humble sounds that make up the "sound track in [my] life." (p. 31) How much better to be filling my ears (heart and soul) with these sounds rather than whatever might be playing on TV! "Oh, that feels so good to my ears." I never understood what she meant by this but now that I'm a mom - of, ahem, a certain age - I GET it. Admittedly, almost all of our toys are quiet toys. We do have a couple of rather "vocal" trucks, but as tends to happen ... batteries disappear or a new layer of duct tape appears on said truck, directly over the spot where the speakers are situated. To begin with, this was for Earlybird's benefit, who, as I've mentioned (and I'm sure will mention again) has autism and has many significant sensory challenges. One of them is noise. Some kinds of noise are unbearable to him - chatty toys being one - but oddly enough, he finds the right kind of noise addictive. For example, if he's watching a train video on his DVD player or a science video on youtube, it's ALL ABOUT THE VOLUME. So he keeps his Kindle Fire turned up high, and if he's watching TV it's also quite loud. He actually loves having both devices going at the same time if he can swing it, and he rocks and stims to the experience like nobody's business. However, if he hears Little Bear and I reading, or if - God forbid - he hears one of us singing - he absolutely loses it. These are not "noises" he can stand. So I guess we're working on a new normal here - between EB and all of us! Being a little more "aware" of what noise is actually improving our existence ... but not impairing it. Wielding a little discretion, while creating a simpler, softer sound track to our life. But now I'm going to be even more honest. I'm nearly done with this post, and supper is ALMOST ready. I have Bill finishing the asparagus and I jumped back on here to finish my post. Crackerjack is working on his college applications and Bookworm is off somewhere else. Four year old Little Bear - antsy and in need of a diversion - asks (quite politely) to watch a preferred tv program and - as I sit here and write about a book that embraces a quiet and unplugged life - I acquiesce. Then EB comes into the room, Kindle Fire in hand, blaring Peep and the Big Wide World ... and chaos ensues. LB: "EB! Turn that down! You're annoying me and I can't hear Blaze!" LB: "Mama, he's not making it quiet enough!" Mama: "EB, please turn that down." For now though, I wish you all a happy weekend, and I thank you, as always for stopping by. Please share your thoughts if you'd care to - leave a comment here or link us up or feel free to email me if you wish (thoughts and/or photos) ---> drhanigan AT comcast DOT net. Hello, and Happy Tuesday, my friends! Who would read this? Would I have time? Would I embarrass myself (or my family)? Was it even safe? But boy am I glad I got up the nerve, because this has been such a wonderful adventure! I love chatting with you all here - always wishing we were really sitting in my living room with pots of tea and lots of books and goodies to show and tell about - like planners and journals and nature notes and cookbooks and favorite resources and of course, our precious kids! I've loved meeting new friends through this blog and hearing from readers who've been with me from the beginning (or thereabouts). As a blogger, I've enjoyed being a little more creative than I might otherwise would be - and being curious, testing out new ideas and exploring familiar passions. Reporting in, and hearing back. Sharing pictures and memories and goals and my various attempts at this project or that. Maybe a new way to celebrate a season or a different way of keeping track of those daily to-dos? So, today I'd like to bless my readers with a wee bit of the joy I myself have found through blogging. One of the ways blogging has blessed me is in finding and sharing wonderful resources - so here I have a set of 11 such resources, and I'm offering them all as giveaways! If you are interested, take a look at the picture below and then leave me a comment telling me which numbers (further described below) you are intrested in. I'll choose a winner for each giveaway from the names of those interested. ⭐️ No. 2 The Life Giving Home by Sally and Sarah Clarkson ... a new book I purchased recently, but have not had time to read, and really want to bless someone else with what I can see is a lovely and life-affirming (home-affirming) book. I'll borrow a copy at a later date ... when I have more time to read! ⭐️ No. 4 Montessori Play-and-Learn Handbook and The Heart of Learning (K-3) which is an introduction to Oak Meadow in the youngest grades. I have extra copies of the latter and I no longer need the former, so I'd like for someone else to enjoy them! ⭐️ No. 5 Break-In at the Basilica and Lost in Peter's Tomb ... fun mystery novels for kids set at the Vatican! My older boys enjoyed reading these many years ago (there was a time when they were fascinated by Vatican architecture), and now we'd like to pass them on to another family. ⭐️ No. 6 This is a sweet little journal I picked up on clearance - a soft, beribboned, shell-print cover protecting a tidy notebook lined in blue and red. I think this might make a handy seaside diary! The Seashore Sticker Book was never used by my boys and I think it would make a nice companion to the journal ... a way to inspire some summer nature adventures, perhaps? ⭐️ No. 7 Organic Baby & Toddler Cookbook and La Leche League's Whole Foods for Babies and Toddlers ... two really great healthy-eating cookbooks for those precious early years. I'd love to pass them on to another organic-minded mama! ⭐️ No. 9 A Little Boy's Bible Storybook (for Mothers and Sons) ... I read this many years ago with my older boys but have since moved on to other resources for my younger boys. This is a colorful and easy-to-use book of bible stories for little boys (with suggestions for follow-up talks with mom). ⭐️ No. 10 The Golden Press Children's Bible ... I'm sure many of you have copies of this beloved, old-fashioned children's bible - we have three or four copies, including both Bill's and mine from when we were young! I'd love to offer one of my extra copies to another family to enjoy with their children! ⭐️ No. 11 Downton Abbey, Season 1 DVD ... my dad just gifted us with a set of seasons 1-3 so this is an extra I'd love to pass along! Plus a pretty bound notebook which would make a neat little journal for all manner of things - daily gratitude, a running to-do list, a shopping notebook for your purse? So, my friends - I hope you are excited about these giveaways! And I hope you'll comment and let me know which of the 11 you are interested in. (You can "vote" for all, or one, or however many you'd like! Just name the numbers in your comment.) You are also, of course, more than welcome to comment even if you have no interest whatsoever in these giveaways! I'm just hoping all of these items will find good homes, and I know there are many such homes to be found with my readers. Let me know what you think, when you can ... drop me a note, cast a vote ... I will be taking a break from blogging till after Easter, but will announce the winners on Friday, April 1st. So spread the word if you will and of course, best of luck! And as always, THANK YOU, so much, for being my readers ... my listeners ... and such very kind friends. I wish each of you a wonderful Easter and am keeping every one of you in my prayers. So with a little time "to myself," I decided it was a good chance to sit down and do some work in my planner. Today I'm focusing on the pages devoted to Early Spring goals - personal and household. On the lefthand side (not shown, folded under) I've attached a copy of my Early Spring overview, and on the right, I have a listing of the aforementioned goals. To prompt my thoughts I like to look over my calendar and seasonal notes and then decide what things need doing ... and what things I'd like to see done. These often become two separate lists! Now you all know how much I love planning - seasonal planning in particular! - and lately we've been talking a lot about SPRING planning. (A timely topic indeed, with the Vernal Equinox but 18 days away!) 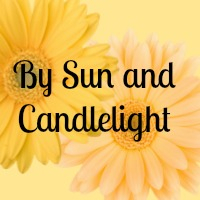 Well, today I want to mention a new resource I've added to my "favorites" shelf - one written by a dear friend and kindred spirit - one I know you will love as much as I do! It is a new publication from Cay Gibson, The Spring Beehive Planner, and it is the second in a series of planners Cay is publishing through her Etsy shop (found here). You can see its lovely cover pictured above in my reading basket. My friends, thanks so much for stopping by today. Coming up, we'll be talking a lot about Spring things here because you can be sure some of the notes I've made in my planner will end up as posts! But for now I will leave you all with my thanks for reading and my very best wishes for your evening ahead. I hope your week's going well ... and I hope to see you here again very soon! Planning is such a fun thing to do ... and talk about! And it's something I talk about here a lot as you all know! Well, yesterday I took part in a wonderful live planning chat with two lovely ladies, Mystie from Simplified Organization and Jen from Wildflowers & Marbles. We discussed many different aspects of planning and how we organize our days ... including how we handle it when our days are, perhaps, not quite so organized! We also took live questions from the folks following along, but you can still watch a replay of our talk, if you'd like! I look forward to discussing more "planning points" soon ... because the New Year is at our doorstop! And I am all about getting myself and my planning ready to roll ... but for now, I wish you all a very good day! First up, here are a couple of links to my blogging friends ... a post from Kimberly at A Gathering of Days, where she welcomes us into her Cozy, Christmas Home ... and another from Lisa at Its Own Sweet Will who shares her family's Christmas Tree Trimmings. Both of these posts are brimming with light, warmth and good cheer ... and oh, how I wish we could really house-hop and visit for real. What fun we would have! We like to drive up to the mountains with a giant thermos of homemade hot cocoa and perhaps some cookies. We live out on treeless plains so just being in the woods is magical. The way the sun doesn't really beat down on anything, it flitters in like little fairies through the leaves and pine needles (it is mostly evergreen in the area we harvest the tree from,) and a completely different bunch of animals make for a very - well - magical day. We play around for awhile, look for squirrels (who knew there were squirrels in trees, not just on the ground!) and then we get down to business looking for a tree. I will admit, they are not as full-bodied as the tree farm trees. They are typically the younger trees because we have a height limit and even the taller trees are not evenly full all around because the sun only reaches one side of them before the sunlight finds its way to the west side of the mountains. BUT, even if they are sparse little things, we have such an adventure in finding a tree, that it is how we like to do things now. As for decorating the tree, we like to make a few things and put on some purchased ornaments. One year we strung cranberries (messy!) and popcorn (I don't know how much ended up on the string with the kids helping). This year, my husband suggested that we just do natural ornaments so we can toss the tree out in the back of the property (we live on some acreage and no one can see parts of our property so only the pronghorn and cottontails and jackrabbits will be the wiser). Then, the tree can provide something for them in the cold of the year, even if it is just shelter. Leah, what a wonderful experience this must be for your whole family, but especially your children! "Magic" is the perfect word for it ... and boy does this whole tale fit perfectly in with my NEXT Advent post, too! (Magic + Meaning) Thank you for sharing your famlily's tree tradition with us ... you have me itching to get out into my own woods (we're surrounded here!) and take note of the dappled sunlight and frisky squirrels! And now we pop over to Tammie's! Thank you, Dawn, for inviting us to take tea with you! This afternoon I am sitting in a sun-filled nook at my desk in our bedroom with a mug of Numi Orange Spice Tea. My husband and I tried it last year in tea-bag form and enjoyed it so much that we ordered it in a 1 lb bag of loose tea for this winter. I am glad you asked us to share our trees here! We have a large tree in our living room, but I put up a special little tree here on my desk . . . a tiny silver tinsel tree reminiscent of the tinsel tree that my family had as I was growing up. Just looking at the sparkle and glimmer takes me right back to the excitement and anticipation that I always felt each Christmas . . . forty-something years ago! We both remember this publication in our homes as we were growing up and a couple of years ago he bought me the 70th Anniversary edition. This magazine first came out in 1944, right during the dark days of World War II. In the first issue, the founder set forth his vision for the magazine with these words: "Ideals is a book of old-fashioned ideals, homey philosophy, poetry, music, inspiration, and art - things that some of us may have overlooked during these busy days." It continues to carry out those same qualities today and we find the illustrations, photographs, & stories to be charming and uplifting to us in our own busy days. I think that tonight we'll be reading some more selections from this book. As far as projects I'm working on ... I'm cross-stitching ornaments for each of our five grandkids. Also, I'm putting the finishing touches on my Christmas cards ... I create our cards each year with rubber stamps. I hope to get these finished and sent out by the end of the week. Thanks again, Dawn, for your sweet hospitality! Thank you for sharing your Tea and Christmas traditions, Tammie! I have to tell you, I feel the same way about tinsel. I wouldn't use it nowadays (though my cats would love it! ), but it holds nothing but fond memories for me when I remember trees dripping with all that sparkly stuff! (And those giant colored bulbs!) And thank you for recommending that Ideals book - I'd never heard of it before, but it looks lovely! And now, let's hear about Denise's Christmas tree traditions! Our preference is live! However, the frugalilty of my self hasn't let us indulge in quite some time. :-) So, we get the next best thing: artificial. We normally put them up as soon after Thanksgiving as we can (depending on travel, time, etc) and leave them up until Epiphany! I don't have a favorite ornament. We have four trees we normally put up. We are only putting up three this year; I'm not putting the one up in the Grands' play room, as we won't be in there much this season. One is a wooden tree, made by my sister- and father-in-love. They worked together on it! (He has since passed on.) It is adorable! I put this one in our over-sized hallway. Another tree is my snow-themed tree. White lights, white snowballs, white crocheted (purchased) snowflakes, and gold (they didn't have silver) jingle bells with red ribbon. I *reeeeeally like this one! * I learned several years ago that I don't like "hodge-podge." Now no offense intended to anyone who does, and I, in fact, do put one up, it is just not my preference! I discovered that while shopping during the Christmas season one year with Mom & baby sister (who had a baby of her own we were babysitting while she served our country in the Air Force). I saw different styles of trees, all together. The one I gravitated to most was the one that only had a few different things, but several of those. I liked it! I discovered I liked things that looked *similar,* had some semblance of order, so I purchased what I liked & put up the tree! You know what? I actually enjoyed putting up that tree! I think it was a first. Ok, well that's not quite right, I always like putting up our live trees!! Now, under this tree, we have our selections of Jesus Gifts. This is usually all that is under this tree. These are just things that represent some options. Our grands work throughout the year to earn money towards the gifts. We then match what they earn. Then at some point through the holiday, we select how they want to spend the money. Oh my goodness! What JOY this brings!! It is something they look forward to throughout the year. The money is spent locally and overseas through different organizations. Some of the gifts have been: money for the food bank, shopping for the food bank, sports equipment to a family, gift certificates to a shopping center, "Christmas meal baskets," clothing for homeless shelters (all local), Bibles, money to help fund translators, wells, providing animals, sewing machines, bicycles for missionaries, oh my goodness, the list goes on. It is always interesting to hear what our grands have picked & why they have chosen it! The last is the Family Tree that goes in the family room. THIS is the hodge-podge tree. Ornaments handmade by little beloved hands, or handed down, or that have a special meaning. The Grands always decorate this one with us. It is not decorated yet; we just didn't have time last week! It is all set up, lit & just waiting! We *will* get to it next time they are here! Afternoon tea, carols on Pandora (thanks to granddaughter/13), decorating the tree! Yes! Apple-cinnamon has been my tea of choice for a bit. I seem to go in 'spurts' on what I crave. :-) Grands and I baked Peanut Butter Blossom cookies. So yummy!! Grands have been drinking their favorite, peppermint. They don't branch out too much. :-) If they do, it is for hot cocoa or vanilla milk (one can't have chocolate). Christmas readings and music, of course!! "Hope is Alive" by Ellie Holcomb is a favorite right now! "So sing with the angels they fill up the sky! Heaven broke through & now HOPE is alive! He is right here among us, our God is with us tonight! Into our aching, into our breaking, into our longing to be made whole! Your arms are reaching, your love's holding us close! And into our suffering, into our weeping, Into this need we have to be known. Your arms are reaching, your love is holding us close." Enjoying the Advent season. I have a Christmas funny I'm working on for my dear, sweet grands, who like to tease me, so I am going to *tease* them back! I hope I don't regret it. What is happening in nature? mins before dawn/dusk. Guess when they come in to land?? The times he CAN hunt & is here, it seems they are too high. If I have the *faith* to believe, to take God at His Word, that Christ was born of a virgin, (Bible Scripture: Isaiah 7:14, Matthew 1:23, Luke 1:27) (and I DO!) then I need to apply that same *faith* to the impossible situations in my life today! I need to have that faith that HE is faithful to His Word and IS IMMANUEL, God with us!! Beautiful as always, Denise! Thank you for sharing your Tea and Trees with us! How I love to hear about your Grands and the love you all share ... all your trees sound lovely, but that Jesus Tree is extra-special! (Not just in looks, but in purpose!) I love what you had to say about Faith, too ... it's such a GIFT, this ability to have Faith in that which seems impossible. God is so good to give us this gift because it is so very necessary throughout life! We love live trees! I’d love to cut our own but that’s not an option down here, at least not in my area. Not really - my husband trims the bottom and gets it into the stand, then he and I put on the lights. After that we all start hanging ornaments. This year my little guy was really into hanging ornaments for the first time, so I spent my time digging out non-breakable ones and handing them to him to hang. We never hang all the ornaments we have, but it’s fun to go through them all and choose which ones to hang from year to year. I love old-fashioned looking glass ornaments in various motifs. I have a “bride’s set” from my husband’s grandmother (years ago, not long after we were married) that I adore but that does not get hung up right now, because if little hands broke those I’d be pretty sad, as Grandmama has since passed away and I like having those as a remembrance of her - we were kindred spirits, despite the fact that I didn't get to know her for very long. We usually get it early-mid December, but got it earlier this year because my husband was going out of town for a week and we wanted to get the tree up and decorated before he left. I love it, actually, because we get to enjoy it longer. I usually try to wait until Epiphany to take it down, but the last few years I’ve caved and done it early. By that time everyone seems to be a little over it, and we often travel for New Year, and it’s a bit sad coming back to a drying, drooping tree. White on the tree, but the lights on the house are colored. My morning cuppa, and I’ve been downing Emergen-C trying to avoid the colds and other bugs that seem to be going around lately. As you said, illness can really put a damper on plans. My daughter seems to have a cold coming on, and I really hope she’s able to kick it as my sister and I are planning to take her to her first Nutcracker performance this Saturday. I pulled out my copy of "Forever Christmas" as well, actually. And I just picked up the latest in a cozy mystery series I read (Library Lovers mysteries) from my library, so I’ve got that to look forward to. Also a book called "Labor Day" that’s a collection of birth stories by women writers. Handel’s Messiah has made a few appearances. I just found the "Ancient Noels" album you mentioned on Spotify, and I’m listening to that as I type. It really is lovely music, thanks for sharing your discovery! Not really, my husband has been gone for work all week, so we had a scaled-back week that may have involved a few Christmas movies in the evenings and also some playdates with friends, all of which helped mama stay sane. Thank you Helene, for sharing your Advent Tea Journal! I loved hearing about your Advent doings - so glad you found Ancient Noels good listening! And I had to smile at your mention of The Nutcracker - another magical moment I can remember from my own childhood. My grandmother and great-aunt would take my cousin and myself in (by train!) to see The Nutcracker in Boston and it was SUCH an experience. Full of mystery and wonder and magic. I cherish those memories! "Magic and Meaning": Making Advent Memories Our Children Will Cherish. See you here on Monday afternoon, everyone ... thanks so much for stopping by and I wish you all a peaceful evening! 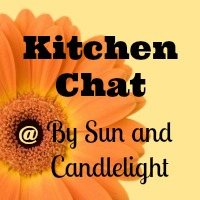 Monday Memo: More Planner Chat! Happy Monday, my friends! I hope your weekend was a good one! Ok, first up: some not-so-good news. I'm afraid my Advent Tea post will not be up later today, because "Mama time" (aka, blogging and teatime!) has been rather thin on the ground lately. My family has been hit with a nasty cold virus, and needless to say it has really "gummed up the works" around here! Thankfully though, the bug seems to move pretty quickly ... Little Bear is feeling much better this morning after a blessedly long night of sleep. Sleep is such a good thing, isn't it? It's probably the best thing we can do for our immune systems - get good sleep! Anyhoo, I hope to have a fresh pot of Advent Tea ready to serve one day later this week - hopefully tomorrow! - at our usual time, just as the late autumn sun slips low in the sky. We'll be talking about Christmas tree traditions and I'd love to hear about yours! I am so excited! (And a little nervous too, to be honest ...) But I think it will be a such fun! We'll be talking about "planners, crates, apps, calendars, brain dumps, habits, goals, and more!" Such good stuff, right?! And there will even be a chat box where you can ask questions during the live workshop, too. I'm amazed by the whole process, honestly. I think Mystie and Jen are great ladies with fantastic blogs and I am just completely honored to have been asked to join them! Our workshop is scheduled for Tuesday, December 15th at 4 p.m. EST. Now, here is a link to the page where you can find out more and sign up to access to the live chat. You will also receive a link for the replay and an e-mail reminder on the day of the workshop. And if you have things you know you'd like to hear me talk about - planning topics we've covered in the past, tools I use or have made, such as the file crate - please let me know in the comments below. I'm trying to organize my "stuff" and my thoughts beforehand so I'm ready to go! Good Wednesday morning, my friends! I'm up super early here (thanks to my Earlybird) which means a little writing time before sunrise. :) I would love to share a couple of cozy corners from my readers today ... it's going to be a wet, foggy and cold day here in New England - perfect nest weather! What's it like where you live today? "I'm planning to devote some time during the lovely upcoming winter months to delving deeper in hygge, learning more about its origins while celebrating all those hygge things I already embrace: candlelight, comfortable chairs, pools of warm lamplight (as opposed to that horrid, harsh overhead lighting), teatime, books, leisurely dinners with friends and family, warm blankets, the fire crackling in the stove." "This is where I read - on my own and to my kids (I was reading this book to my older sons when my water broke with my youngest twelve years ago). Watch tv, write occasionally, sip tea, watch the fire, stare out the window. I've even been known to fall asleep here on occasion (especially on late Christmas mornings, following the early rush)." "This is where I do nearly all my writing - a fan for noise control year round, a small space heater by my feet during the winter months." Oh my gosh, Lisa - the lighting, the colors, the softness of the whole room! This is just so lovely. Your chair looks so comfy, and I love the fabric! And I also love how you have your desk placed at a kitty-corner facing the room ... that gives me a little idea for my own writing desk which I was rearranging yesterday. This is such an inspiring post, and I thank you for joining our happy Nest party! "My nest is empty, so making a nest and filling it with feathers was a comforting idea for me! Baby girl and the boy are home for the Thanksgiving week, thank you God for safe travel in over a 10 hour drive! Thank you God for warmer than usual weather as they soon will travel north back to their nest.... Thank you God for this wonderful visit! Today I enjoyed watching baby girl while she watched one of the Star Trek movies and wrapped Christmas gifts ... (I hear we are a minority, never having watched them). I piddled around at the kitchen table with her in view and was in charge of the yarn ribbons when the time came. Outside my kitchen window, the chickadees have found the newly filled bird feeders.... Sunflower seeds. Waiting to see who else shows up in the next few days. We kicked off Advent with Ann Voskamp's "the night before Advent" hot cocoa party and soft jammie bottoms for baby girl and the boy... Fluffy socks and a candle for my nest. I'm excited to begin the journey this Advent with Ann as the story of Christmas will unfold. Also slowly reading The Women of Christmas by Liz Curtis Higgs... And filling my journal with prayers and thoughts. Oh, cath - such a beautiful post! Your love for your family shines through and your Christmas preparations sound so soothing and satisfying ... unfolding at a steady pace. I love the way you described "piddling" in the kitchen while your baby girl wrapped gifts. There is such love in working alongside each other, immersed in our own things, but keeping company just the same. I'd love to hear back sometime if you have a chance on who else shows up at your birdfeeders! This is the season to watch for those new feathered friends! So, what am I rambling on about you all must be wondering? Well, recently I was invited by Pamela Barnhill at Ed Snapshots to chat with her about homeschooling and my family and the file crate and nature study and ... well, all kinds of things! Now, I think I might have talked a little fast - maybe that's a New England thing, or maybe that was the nerves! - but I really had such a lovely time talking with Pam, who is a very gracious hostess. I felt so comfortable and cozy, all settled in with my big cup of tea and Pam on the phone ... I probably could have talked on and on! Anyhoo - here is a direct link to the podcast so you can check it out. (If I was tech-savvy I'd link up that neat image above but alas, I am not.) I hope you enjoy our conversation, and if you have a moment, please leave a comment (or question) for Pam or myself! Well, enjoy the rest of your day, my friends! Thanks so much for stopping by and I will see you here again very soon! Planner Party ~ Link up! Jennifer gives a fantastic (and beautiful!) overview of how she uses her Erin Condren planner ... and oh my goodness, she has an exciting giveaway in the works, too! (As well as a coupon you can use towards an EC order!) I am sooo tempted to really investigate an EC planner - I am so drawn to those gorgeous colors and that thoughtful layout! Jennifer's post has also inspired me as I trudge along trying to tweak my own planner ... so helpful to see how she uses a planner and what she likes about it - how it fits with her own planning style. Now see this is why I love sharing planners with each other! The more we "show and tell," the more we inspire and encourage each other! We might find a new planner or a "tweak" we had not thought of before ... and of course, there's that wonderful sense of camaraderie. So many thanks to Jennifer for sharing this excellent post ... I highly suggest grabbing yourself a nice cup of tea (or coffee!) and sitting down with this lovely post at your earliest opportunity ... I definitely plan to when the little guy naps later today! "Whatever your planner preference, whether you work just fine out of an inexpensive spiral notebook or you have an elaborate schemata of post-it notes, remember that God is a God of order – not chaos and confusion. Write it down. Set a goal. List it. Plan it. Scratch it out and keep moving it forward if you have to … but keep trying." I have a bit more to share on the subject myself - in fact, I'm currently working on a post about my binder tabs ... but of course, mid-way through I decided to completely overhaul the whole thing. ;) So that post will be up soon, I hope! Thanksgiving Tea: Monday, November 23rd ~ "Simplifying the Season"
Advent Tea, #1: Monday, November 30th ~ "Gifts from the Heart"
Advent Tea, #2: Monday, December 7th ~ "O Christmas Tree"
Advent Tea, #4: Monday, December 21st ~ "Welcoming Winter"
Christmas Tea: Monday, December 28th ~ "'Tis the Season!" My friends, I welcome you to send me your thoughts on our weekly topics (along with photos if you care to share them) and if you blog, I hope you'll consider posting about our Teatime and sending me a link. I'll also collect comments as they post and add them into each post ... so there's a way for just about everyone to participate! In the week leading up to each Tea I will post reminders (where, how and when to send things) and describe more fully each topic. And I'm going to try to make up a pretty Tea button of some sort ... but I haven't done that in a long time, so I hope I remember how! I think this will be such fun - a nice chance to pause and reflect on the season while indulging in a little teatime together. I'm hoping by organizing this all now I'm giving myself (and you!) some time to digest and think ahead ... I hope you'll join me if you can! For now though ... well, Advent seems pretty far off ... it's a damp and dark (dare I say dreary?) day here. Very mid-November. Most of the leaves are gone (from the trees, that is ... there are plenty plastered to the wet ground). But December is just around the corner! I'm not one to rush things (and certainly not seasons) but there is prudence in getting things set, at least in your mind if not also on paper. Because as much as I don't like rushing I really don't like scrambling ... and that's what happens when I leave things to just happen without planning ahead! I want my seasons to be simple, yes - but also satisfying ... and that takes a little forethought, I think. Well that's all for now, friends ... my little one's due to wake any moment. So I must be off ... but I thank you, as always, for stopping by and I will see you here again very soon!